Daniel has thirty years experience in public accounting covering numerous industry sectors, with particular emphasis on global taxation issues for businesses and high-net-worth individuals. His work varies throughout the business lifecycle from start-up and funding to operational tax planning to wind-down and M&A, helping with issues such as FIRPTA and real estate, foreign corporation structuring, repatriation, foreign investment companies, and treaty interpretation. 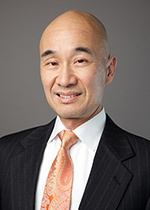 He also works with domestic and foreign trusts, foundations, and estates. Global taxation matters, Technology, and Real Estate. Daniel is a member of SingerLewak’s International Tax Services group. Daniel holds B.S. and MBA degrees from California State University East Bay. He is a member of the American Institute of Certified Public Accountants as well as the California Society of Certified Public Accountants. Daniel has been a speaker on international tax matters for the Bar Association of San Francisco, an adjunct professor for the University of California at Berkeley, and a tax columnist for Vitaminic. For the local community, he co-chairs the Family Advisory Council for UCSF Benioff Children's Hospital, is a San Francisco Museum of Modern Art docent, and has taught CPR and First Aid for the American Red Cross.